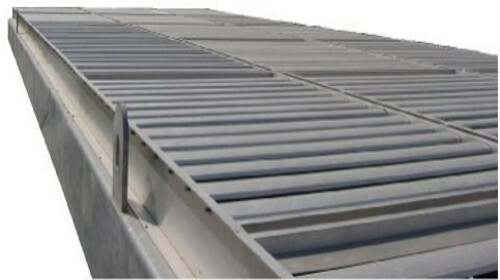 Applications: Aluminium Louvers are used for precise control of Process temprature and Power saving for Air cooled Heat exchanger. Used in winterization application for process fuild have low pour point to avoid crystallization and/or freezing of heavy hydrocarbon during winter when the air temprature is extremly low. Salient Features: Louver can be operated by Manual, Semi automatic or Fully automatic operation. Input signal for automatic Pneumatic, Digital or Analouge. Construction: Blade opening Prallel & Opposed action. Louver can be mounted in Vertical, Horizontal and any in between.